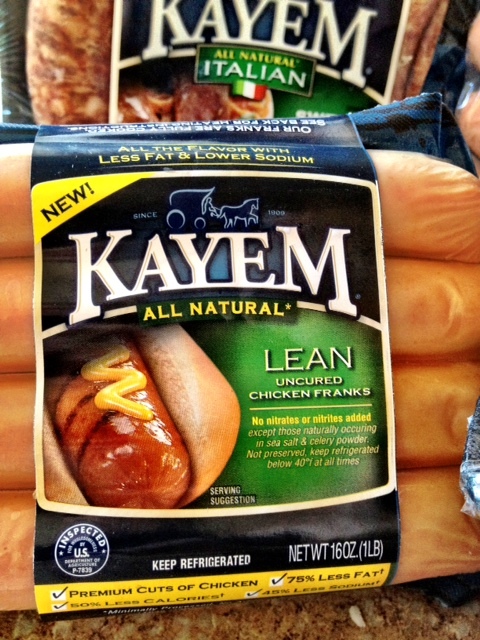 A Boston Food Diary: New This Summer: Kayem Lean Franks! Is there anything better than a warm evening, friends gathered, beers in hand, the crackle of a game on the radio, and the smell of charcoal lingering in the air? There is something idyllic about such a time- the minutes seem to hang on a little longer, and the laughter seems a little sweeter...I think that one of the best things about these evenings is that the food never needs to be complicated. Its comforting, it's easy, it's fast-it's comprised of items that maximize the time enjoying company, the weather, the time...Kayem wants to remind you of that this summer. They have launched a brand new line of lean hot dogs that are just as quick and easy to prepare, pack a similar flavorful punch as the traditional version, and yet helps you maintain that figure for the rest of swimsuit season. Clocking in at just 80 calories per frank, these all natural dogs are made from from healthy chicken meat and spices making them a delicious alternative to what are normally a pretty health damaging treat. 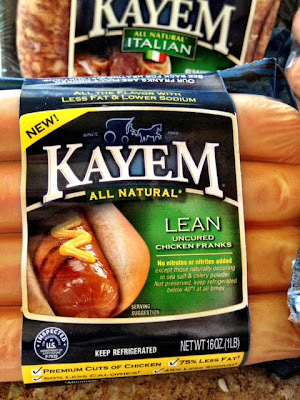 Kayem graciously sent me some samples to try out, and I was truly impressed with these hot dogs. The night I received my packages, I immediately ran out and picked up some good, classic hot dog rolls. I grilled up a couple of the dogs, piercing the skin as they plumped and blistered to check the internal temp- of course that's probably the worst way to check temperature but I was thrilled to see those familiar juices run out of the sphere and sizzle below. I stuffed them into the roll, slathered them with mustard (my preferred condiment) and some spicy pickles I had made, and chowed down. I was anticipating a less flavorful hot dog. I was anticipating a clear indication that these were a lesser sibling to their full fat version- what I found was clear flavor, and all that was missing was the grease usually present. I was thrilled with these hot dogs as a more than acceptable replacement for the beloved hot dog and I am excited to continue to enjoy them throughout these summer months. Mustard and spicy pickles sounds like the perfect way to enjoy these. I am going to be sampling some Kayem products as well - can't wait!